1) The NPO Member agrees to inform their supporters, donors, and database about the REBSEA Program and introduce to them their local REBSEA Member(s). This is done by a series of emails (REBSEA provides templates), and other outreach decided upon by the NPO, such as; adding information about REBSEA to their website, Facebook page, newsletter, blogs, etc., and/or inviting local REBSEA Members to the NPO's events and fundraisers. 2) The NPO Member is encouraged to reach out to their supporters to determine if there are among them any other Realtors, lenders, or insurance agents who would like to join REBSEA as a Charter Member as a way to direct donations to their organization. Generally, Realtors cover a limited and defined area with their business so the local REBSEA member and REBSEA management will seek to find other REBSEA members that cover the entire area of the sphere of influence of the NPO. 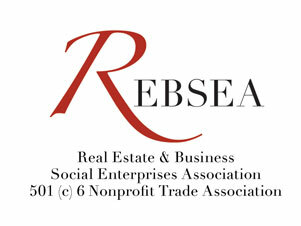 3) REBSEA has Leadership Committees for the various categories of causes and charities that REBSEA Members support. NPO Members may join these committees and work with REBSEA Members to engage other REBSEA Members to support their common cause with their donations, and also, to engage other NPOs across the U.S. and Canada to become REBSEA NPO Members in order to direct more donations to their cause. 4) NPO Members should use their profile in the Member Directory to explain their mission and include any appropriate links or videos. The goal is to encourage all REBSEA Members and the public to support their organization with their donations. 5) This is YOUR trade association and we encourage you to contribute your ideas, creativity, and suggestions to help REBSEA to reach its full potential as a Changemaker.